Tim Burton’s name doesn’t have quite the weight today as it did over a decade ago, with features like Alice in Wonderland and Dark Shadows, among others, bogging down the Burton brand, so to speak. This, really, is a shame, because it means less folks are willing to take the risk of paying money and discovering something special by a filmmaker with a knack for creating seemingly boundless worlds of creation. Miss Peregrine’s Home for Peculiar Children is one such example. A wildly imaginative feature that borrows as much from Burton’s past as it does from the heroes of film that made him the filmmaker he is, regardless of being stifled by the trappings of its young adult source material. Forty minutes or so of muddy exposition about Jacob Portman (Asa Butterfield), a teenager who has discovered his “peculiar” ancestry after the death of his grandfather (Terence Stamp) lead the way to a colorful world trapped in a loop of one day in 1943. It’s here that Burton’s aesthetic kicks into high gear, in the titular home run by Miss Peregrine, played by a scrumptiously made-up Eva Green, whose performance and costuming (by the incomparable Colleen Atwood) seems tailored to mirror the look and mannerisms of a peregrine falcon in every way, without an ounce of overacting. If the plot doesn’t quite make sense in writing, it’s all explained in a rather dull fashion throughout the feature, and occasionally still seems like it’s not enough. 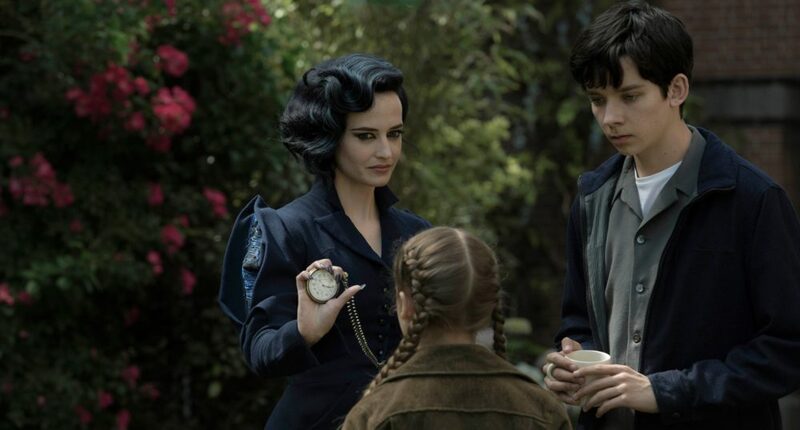 That said, Miss Peregrine’s biggest strengths are the world in which it unfolds, the characters within it, and all the visual flourishes that come with those things. Each of the children in the home have a unique power, ranging from super strength and fire-starting to manipulation of air, nature, and bees, and the film does a better job at making them all essential when it comes down to it than most of the superhero team features of modern day do. Not every child gets a chance to shine—many of them trapped in stilted performances that reek of time constraints with Butterfield lacking enough charisma to be one of Burton’s memorable semi-tragic heroes—but that’s why the adults are there to help. Stacked with names like Green, Stamp, Judi Dench (who falls into her particular bird role just as well as Green), Samuel L. Jackson, Allison Janney, Rupert Everett, and Chris O’Dowd, the adults feel essential to this universe made for young adults in a rare way, even when they’re barely present. 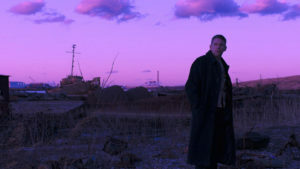 Where Green is the film’s emotional core, lending the film a very credible tenderness in the face of blandly executed young adult romances (that could have likely been fleshed out with a well-deserved miniseries adaptation), Jackson plays one of the most arguably over the top villains of his career—and that’s not at all a bad thing. He performs all of the puns and jokes Jane Goldman writes for him with a carelessness and joy in him that emphasizes how much fun her writing can be when not paired-up with Matthew Vaughn (Stardust being a rare and riveting exception to this). This is, after all, a feature that makes Florida look like a bleak rendering of Edward Scissorhands, that finds glee in having a character with necromantic abilities force terrifying Quay Brothers inspired dolls fight to the death, and that closes with an ambitious showdown between good and evil that utilizes every special and practical effect in the book to highlight each child’s ability and an army of skeletons that Ray Harryhausen would be proud of. And it’s precisely that imaginative quality that makes Miss Peregrine’s Home for Peculiar Children such a pleasant surprise. Directed by Tim Burton; screenplay by Jane Goldman; starring Asa Butterfield, Eva Green, Terence Stamp, Emma Bloom, Samuel L. Jackson, Judi Dench, Allison Janney, Rupert Everett, and Chris O’Dowd; 127 minutes. Miss Peregrine’s Home for Peculiar Children opens in theaters everywhere on September 30th.